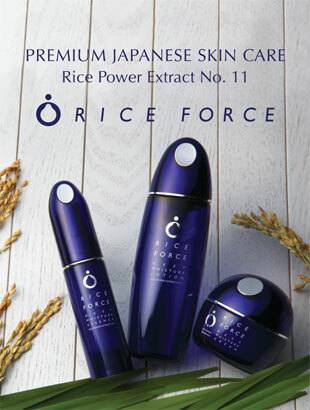 RICE FORCE is Japanese cosmetic products whose main ingredient is Rice Power® Extract derived from edible rice. 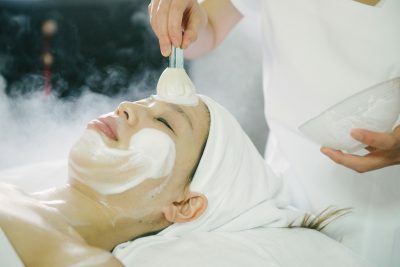 In the west, it may surprise you to learn that Japanese women, especially Geisha, had for centuries used rice water to cleanse, nourish and moisturise the skin, thereby restoring a youthful and healthy glow to their skin. What’s more, Geisha weren’t the only people benefitting from the miraculous properties of rice. The toji, who are craftsmen making sake (rice wine), have contact with malted rice on a daily basis and also have beautiful hands, regardless of old age. 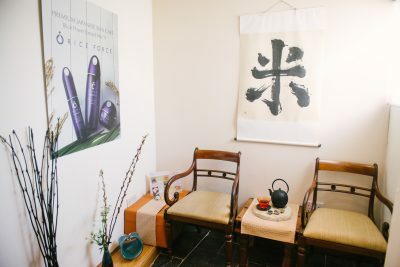 Thus, RICE FORCE has taken advantage of these authentic Japanese natural beauty rituals, and developed their products with state-of-the-art Japanese cosmetic technology. All products contains Rice Power® Extracts. They cleanse the skin deeply and help to build up moisture retention capacity, as well as fortifying the skin barrier function by increasing the ceramide production that typically slows down with aging. Especially, Rice Power® Extract No.11 has been certified as an ingredient to improve the skin’s moisture retaining function by the Japanese Ministry of Health, Labor and Welfare. 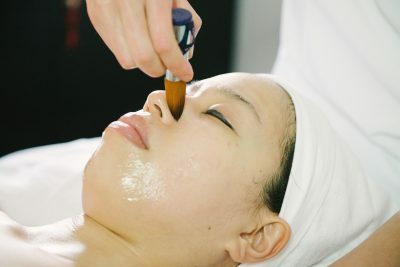 This facial is derived from traditional Japanese face lifting techniques, which perfectly underline the effect of the RICE FORCE treatment. 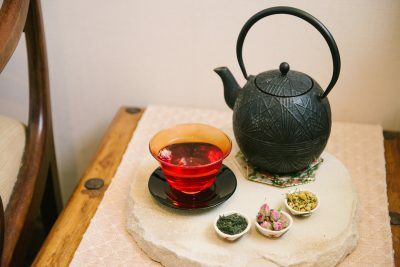 At Rikyu, by incorporating these techniques with our Tsubo facial method we can help to bring out your beauty and youth both within and without. Through our unique two-step cleansing process, performed with special brushes that represent traditional Japanese rituals, your skin becomes clear, fresh and smooth. With the most marvellous hands-on facial, the skin will become deeply moisturised and toned, and the hydration and suppleness effects are long-lasting thanks to Rice Power! For all skin types, including very sensitive skin and atopic eczema-prone skin. ②　Second step of cleansing with facial steam – deep cleansing the skin with Mild Face Wash formulated Rice Power® Extract No.1. With a unique and gentle washing brush made of 100% fine wool, the wash forms tiny bubbles which draw any impurities away from the skin pores completely. The skin becomes nice and clean without causing any damage or stripping away essential moisture! ④　RICE FORCE Lifting massage including the decolute, shoulder and neck and head area. 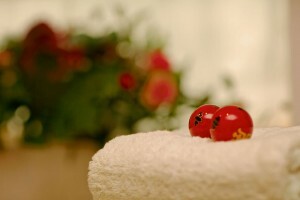 Your skin becomes toned and firmed. It the most outstanding manual facial technique you’ll experience! 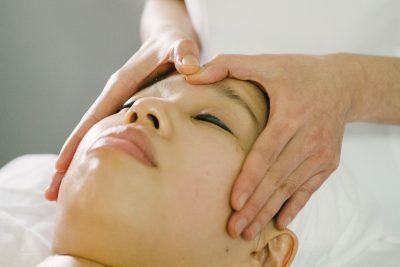 ⑤ Tsubo approach – to harmonise both your physical and mental condition, by applying gentle yet powerful pressure onto “tsubo” – acupressure points of the face. ⑥　Deep Moisture Mask to improve the innate moisture retaining function, as well as fortifying the skin barrier function. During the mask, we’ll give you a relaxing head massage! 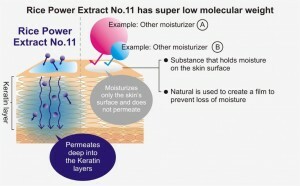 Rice Power® Extract No.11 is a certified rice-originated natural ingredient to improve the skin’s moisture retaining function, and has a very low molecular weight (approx. 1/300 of collagen and 1/50 of hyaluronic acid) so that it permeates deeper into the skin and “locks” the hydration within. 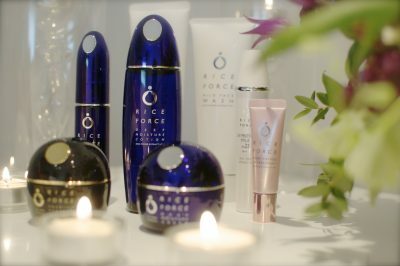 ⑦　Hydration and Protection – “Compacting” the moisture into the skin again with Rice Power® Extract No.11, in three different RICE FORCE moisture products.